Wasn't it GREAT to catch up with Kelly? I don't know how she managed to have something new posted.... so often to the blog. I can barely think ahead... let alone back it up with pictures!!! I have been thinking about and started to create a post about closing out 2017 or looking ahead to 2018... but everyone does that and in a week or so, we will all be ready to move on! I figure we would all do something differently, make better choices, save more, spend less, be more positive, laugh more, be a better person .... you know as we look backward or forward.... they all apply in both directions. 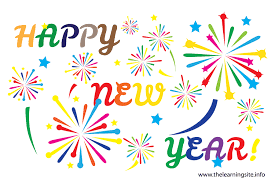 Goal setting is like Resolutions... the are good until the next idea or opportunity comes along, and just like a chicken... we are drawn to the next sparkly thing or project! I belong to a loose creative group that is called the 'Sparkly Chickens' because we are always drawn off course by ....something. I have tried the "word" for the year thing... several times but I always forget the 'guide' word I have chosen... around about the month of March or April, because the end of winter is near... and there is a new world beckining for us to come outside and play. 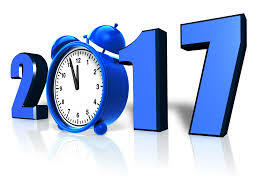 Most of us pick unrealistic.... ways to plan for the year ahead to overcome the boring- can you say exercise or lose weight, downsize the 'stuff' or clean something....or to laugh more, love more and not allow for serendipity, the unexpected and spontaneous opportunities we can't see coming. Me -I live for the opportunities that chance and change allow. To explore, experience and meet new people, different places or try new traditions; to share tastes, customs and ideas, see something from a different perspective. I try to leave a little room while looking ahead for the unexpected something .... to happen while I muddle on with the daily stuff. 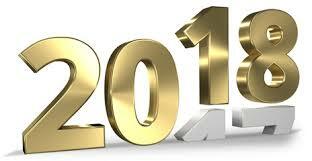 Happy New Year.... may it become everything you need it to be! Where is the world is Kelly aka prior Queen of the IHAN Nation now? Beth: Inquiring minds want to know, what have you been up to since selling IHAN? Kelly: The last 6 months feel like a blur and for that matter the last year feels like a blur too. So let me think...what have I been doing with myself since selling IHAN? I have been to CA twice to spend time with our oldest daughter, her husband and our new grandson. Having a new life in our family has brought tremendous joy. To see someone you dearly love hold their child and then begin to know that is how much you love them....it is a meeting of the souls in a way. I cried so much having to leave them that my eyes are swollen. My first grandson....he is pure magic. Expecting another grand child in June, our youngest daughter is now pregnant. I can hardly wait. Yes I continue to sew and quilt but in a much more relaxed and messy fashion. I have several projects in progress and most are pinned to my design wall, one on top of the other. A bit messy but this allows me to follow my energy and work on things that feel good instead of pressuring myself to have a deadline. My creative process is not linear and I am most comfortable and happy when I do the next indicated pleasurable thing and when I hit a part that I don't want to do at the time...I set it aside until I'm feeling more up to the challenge. An organic sort of creating focusing more on the pleasure and less on the deadlines. These are my tiny hexies quilt. This wild mess is what I call sewing one scrap to the next, cutting and re-sewing. It will be finished in 2018. A small wall hanging I started for fun. It still needs to be quilted. Waldo inspired me to make this quilt for charity. I was in the throws of darkness and she said I had to help her sew some charity quilts...that's all it took. Thankfully Beth quilted it for me because quilting on a domestic machine is not my forte. When I get stuck on a project or in need of ideas I run them past Waldo (Longtime IHAN blog followers are familiar with Waldo...Rosemary my girlfriend). Having Waldo essentially 3 houses away really helps when a gal needs a different thread or to check the stash fabrics to see if there isn't something that can be used instead of stored. We both have fabric stashes (more on that at another time) and our goal is to use it all so we share back and forth. Unfortunately Waldo's health is declining. She had a stroke a few weeks ago and it has affected some of her thinking and she gets confused at times. The great news is she is up and walking during the day. She and I went out for lunch last week so that is a blessing she is about and interested in getting out of the house. Naturally she has a large wall hanging in the process of being quilted and it is under her needle on the machine. When she is feeling better I'm sure she'll be back in there finishing it. Beth: Kelly, do you miss IHAN? Kelly: No, what I miss is regular contact with my regular blog readers, previous customers, and those in the quilting industry that I built relationships with. I'm a people person more than I am a business person. People come first before sales and profits and I think that is why I was successful. That played a huge part in my agreement to sell IHAN to you Beth. 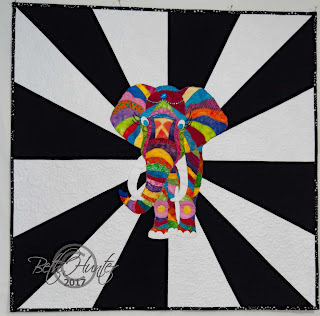 I had to be sure the honesty and integrity would continue with someone who had a wide breadth of knowledge of the quilting/needle arts industry. Had the right person not come along, I would have likely just closed it and donated the inventory. I feel I owe people an explanation for falling off planet quilting yet at the same time I was not sure people were interested in knowing all those personal details of my life. Typically I am known for my humor, honesty and integrity not necessarily sharing the heavier side of life. If people are truly interested, I'd be willing to share more in depth, just leave a comment below and I'd be willing to share more. Thank you Beth for asking how I am and for staying connected. So what do I do.... when... I am not cooking, cleaning, puppying or going to guilds? Creating of course. Most of my creations don't start on Monday and finish in a chronological fashion. They start, get sidelined by an obligation or other deadline... like the project I am going to talk about today. 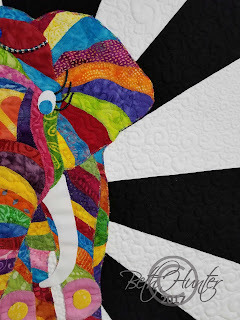 "The Night Circus" was inspired by a Facebook post made by a member of one of the Quilt Guilds I belong to and based loosely on creating this style of a patchworked elephant explored by another blogger. 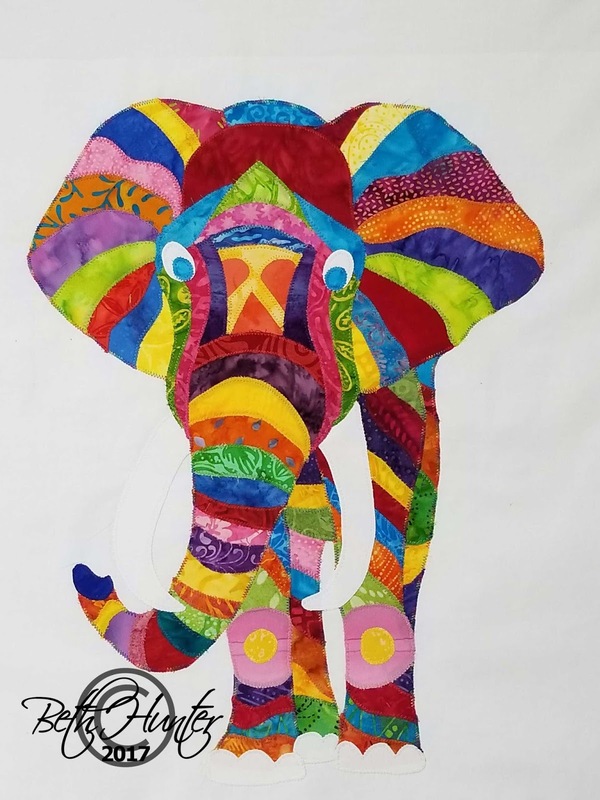 About the only thing I used was the line drawing of the elephant, which I also cleaned up a bit for a better better pattern. I wanted a really bright elephant, so I got out my box of batik scraps and started to build the body. I decided to keep the order of color symmetrical on both sides of the body although the fabrics may have changed from side to side, but color order remained. Once the elephant was built I considered the background, plain anything was just going to be too plain... and while I was working on this I was listening to a book titled 'The Night Circus', by Erin Morgenstern. 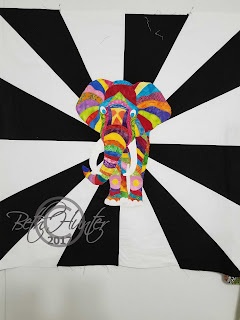 It was disappointing that the best thing about the book was the title, however the author also wrote "Water For Elephants" which is how the title of this Elephant quilt came about.... the Night Circus was about a black and white circus..... the second most interesting thing about the book, (I didn't find any other things to consider interesting in the book). 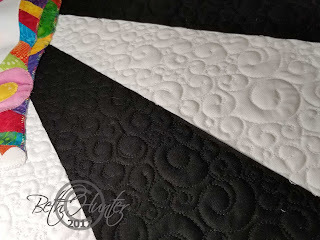 Next up was the quilting.... Of course I wanted to do this on the longarm, (for more practice). I didn't want the background quilting to be the star, so I used a swirl as the fill to add texture rather than a design since the focal point was the elephant. The elephant was nailed down with some squiggly lines across seams of the various colors, since it pretty much already stood out. I added her headband and some wobbly eyelashes with beads as the final bit of her costume. The particulars: The quilt measures 35"x35", the elephant is 17"x13"; threads were So Fine white and black (by Superior) on the background and Madeira monofil on the elephant. So what are you working on? Has it had a sideways progression... or straight through to completion? PS.... check back soon, a surprise blog contributor.... coming soon. Let's start with the good stuff!!! After Thanksgiving, is the onslaught of Christmas Planning, Preparations and then the New Year, which brings all that turmoil of clearing and cleaning up of the Christmas Holiday and making pathways into the whole of next year! Today is only the fourth of December and the statement above makes me want to pull the blankets back up for another hour or two of rest!!! The constant onslaught of sales pitches for the things we need to buy (for others or ourselves) to have it all just seems to take all the fun out of it for me. 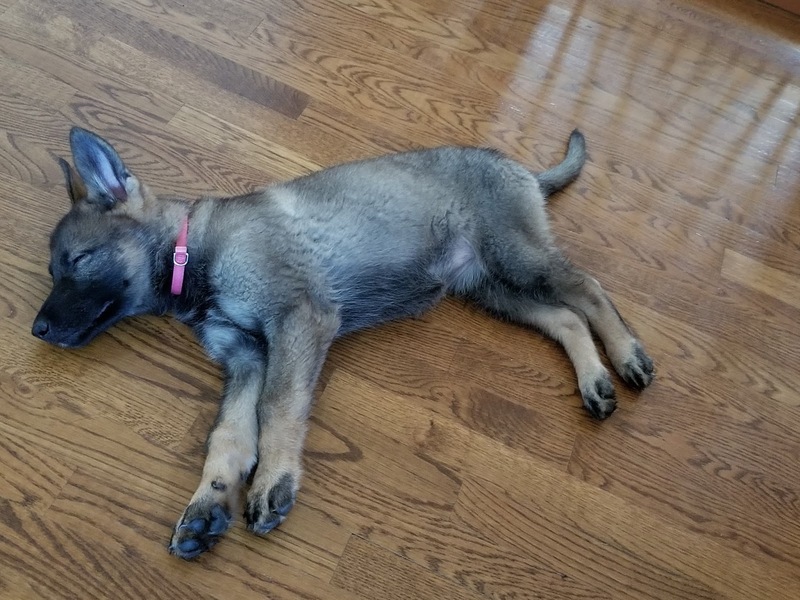 At our house we have been simplifying... the last few years, especially with a puppy in the house. So now the Christmas Tree has to fit on a table top, and fortunately for us... that is all we need. Unless a child or company comes for Christmas, I save all that decorating time, which is nothing compared to the undecorating time!!! Nearly 90% of the ornaments on my "big" tree have been handmade and are pretty old and fragile. Not only do they have to all be unwrapped from the boxes, but they must all be rewrapped, and some have to be repaired before being put away. As usual, time is of the essence for me... I have way more on my plate and have some deadlines to meet. Most of them of course in the quilting arena. Don't we all think it will only take a few minutes which is in reality HOURs.... to get done in our creative endeavors? So I am busy preparing... my information and pulling out a couple of quilts to share. We only have about 10-15 minutes each... so we have to keep the quilts to a minimum!!! And both of us are creating a handout...... about our labeling. I need to pare my info down a little! In the meantime life with Goldie is careening along! 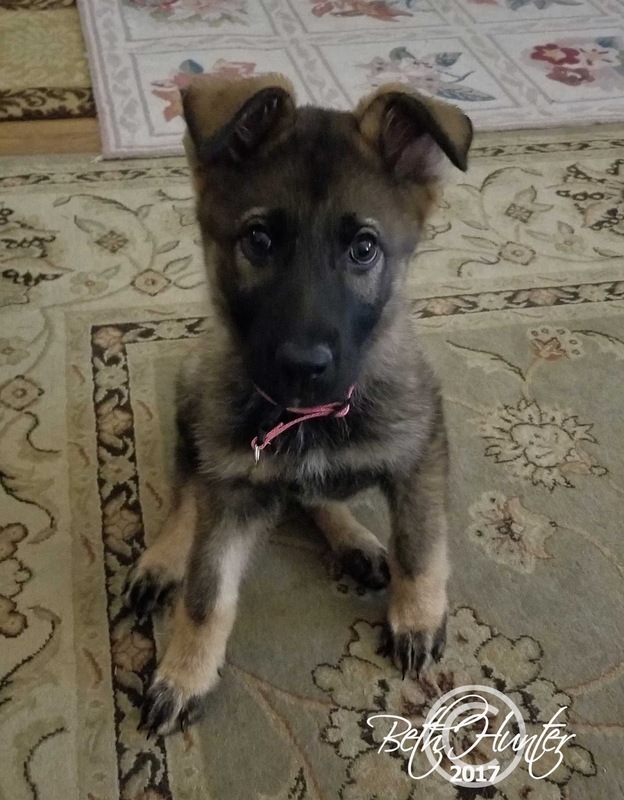 She is now 12 weeks, had her first Vet Check... weighs in at 12 pounds. Next up rabies vaccinations and obedience training starts. 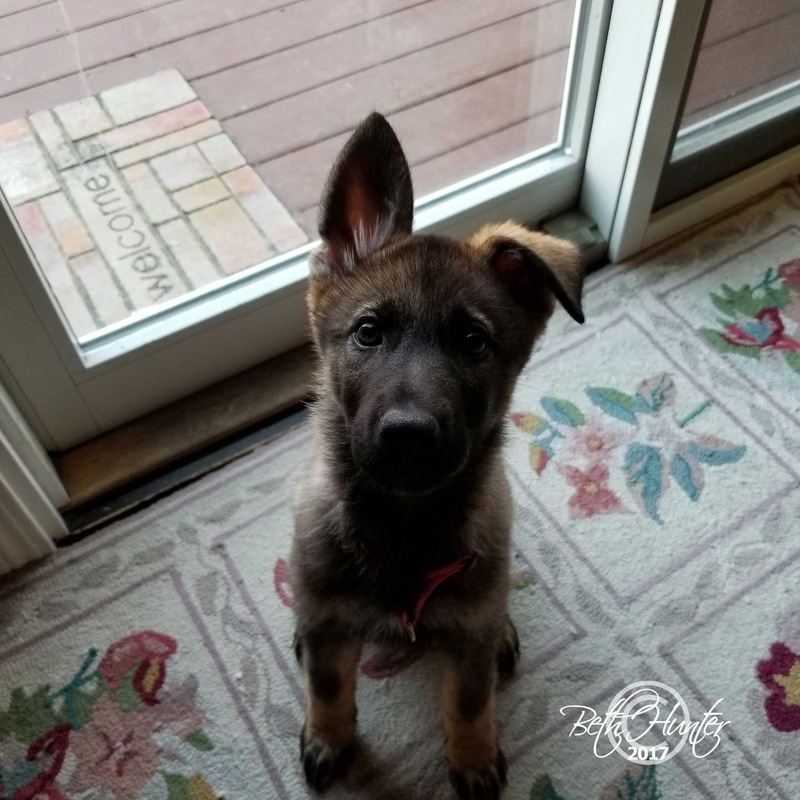 We have started teething... last week we had a little floppy eared pup, and then a one ear up pup and this week they are both up again.